Going away this summer? 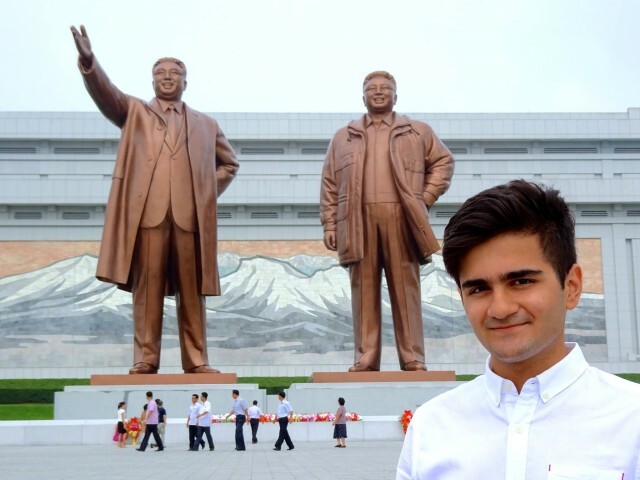 Thailand, Vietnam and Cambodia can offer you a bog standard summer holiday, but North Korea is an otherworldly experience. 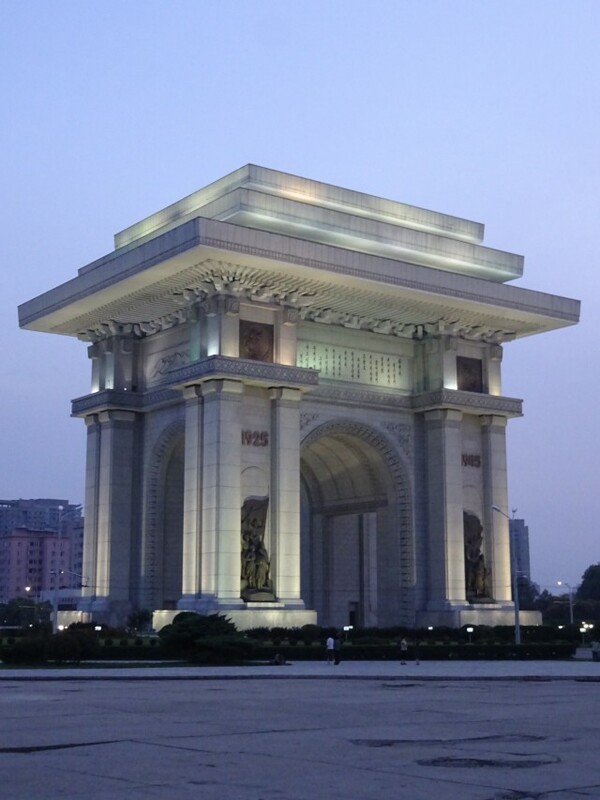 The Democratic People’s Republic of Korea, as they prefer to be known, is infamous for its dictatorship formed after World War II by Kim Il-sung. Reports of concentration camps, starvation and nuclear weapons programs are numerous. 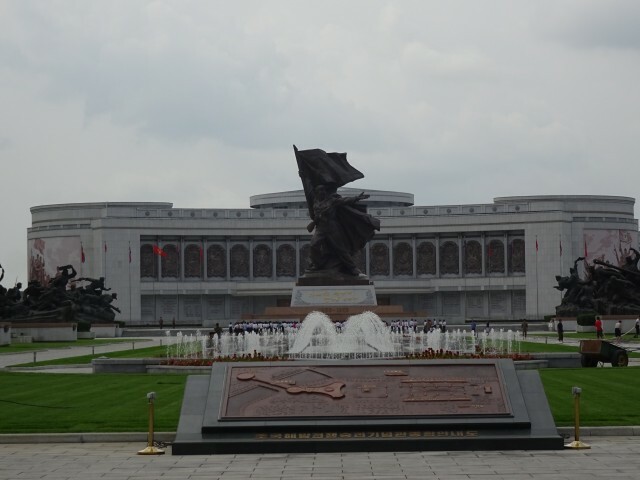 Pyongyang’s secrecy is comparable with Raqqa in Syria, and fewer than 6,000 Western tourists visit annually. The famously inaccessible country has recently become more accepting to tourists and their cameras. 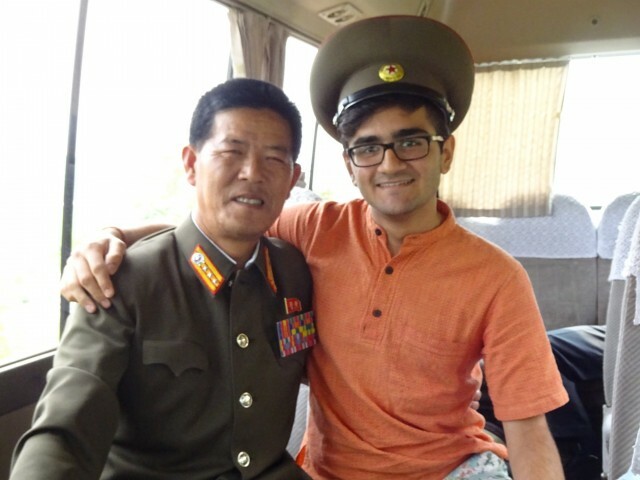 Hearing tour companies offered package visits to the most secretive nation on earth, my friend and I jumped at the chance to see one of the last communist states still in existence. 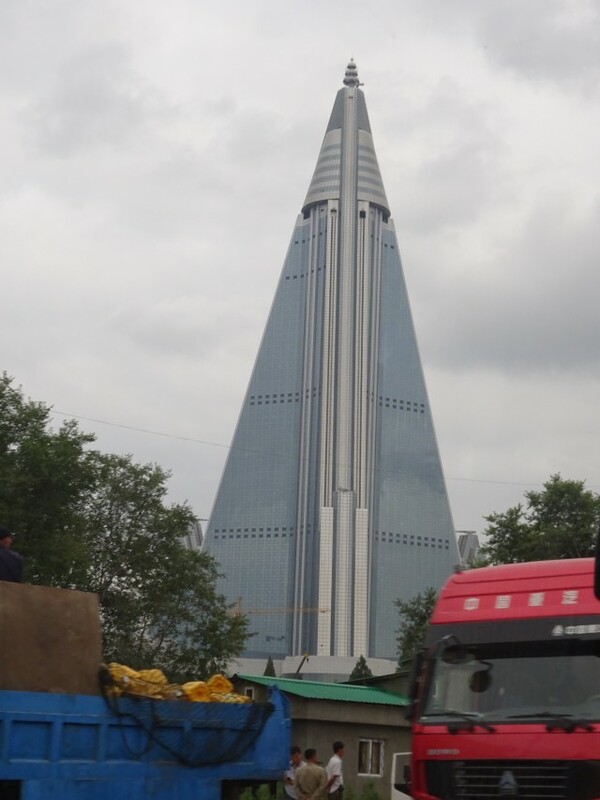 On our five day package tour we saw communism in action, a world stuck in the 1980s and the world’s tallest hotel still under construction since 1987. 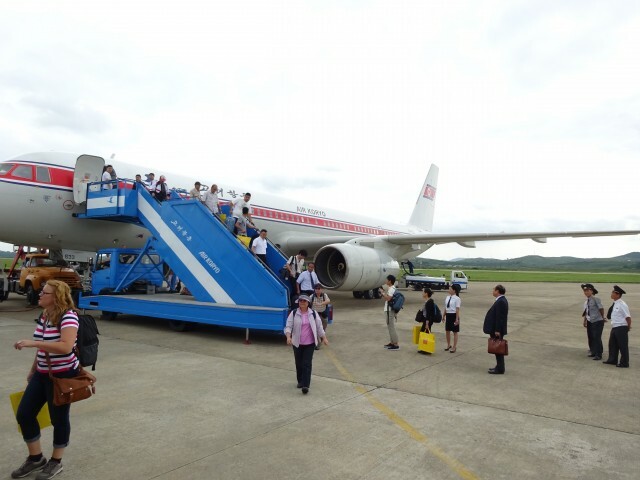 We flew in a rickety soviet plane with Air Koryo (North Korea’s national airline) from Beijing. The aircraft are so bad in 2006 they were banned from EU airspace, which I kept quiet when convincing my parents to let me go. Despite recently being rated the world’s worst airline their service and staff appearance were better than any EasyJet flight I’ve ever taken. The infamous inflight snack of a mystery meat burger was offered. I politely declined. 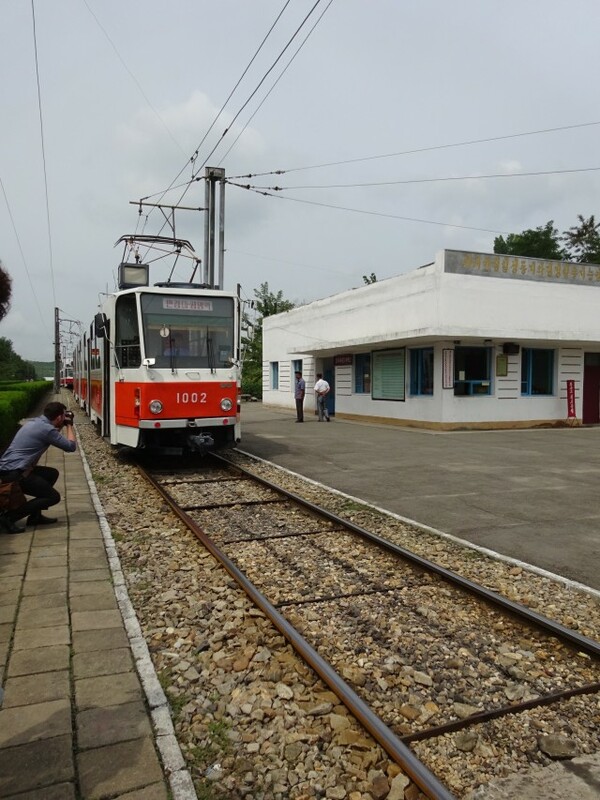 You don’t hear much of North Korean tourism — except for how tightly they control images of their country. 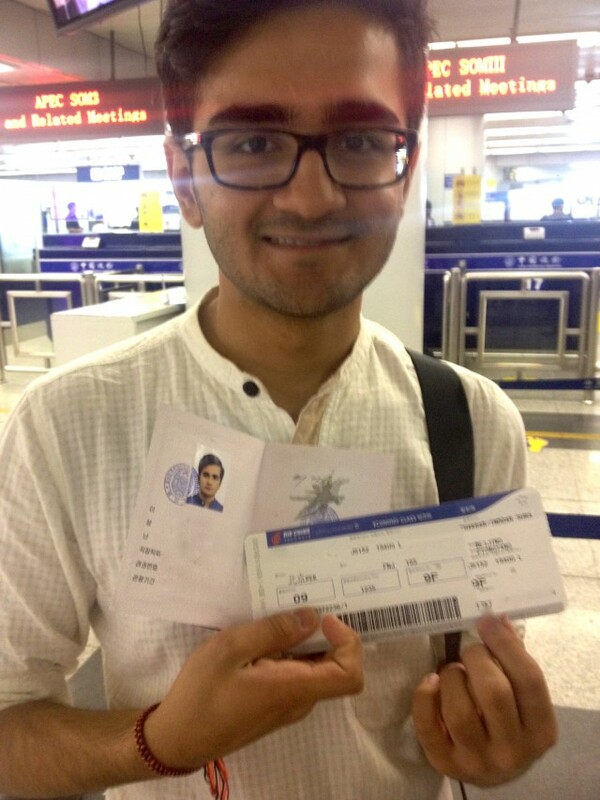 So imagine my surprise when, on arriving into Pyongyang Airport, I was allowed to take both my camera and phone inside. I had to declare any literature I had on me to ensure I didn’t bring religious texts into the country. 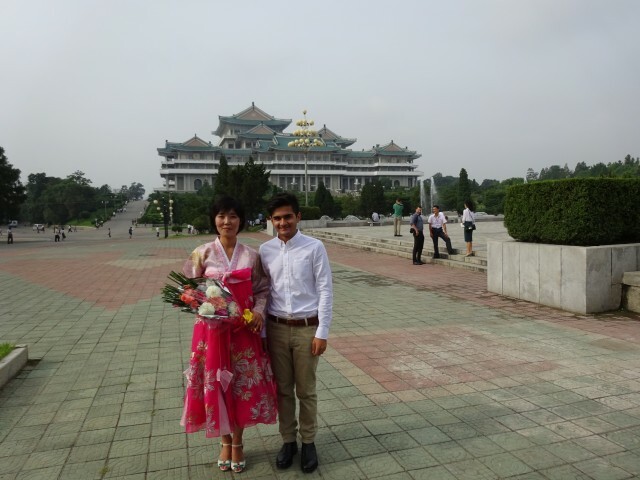 Arriving in Pyongyang was surreal. The first thing I noticed: the haircuts. 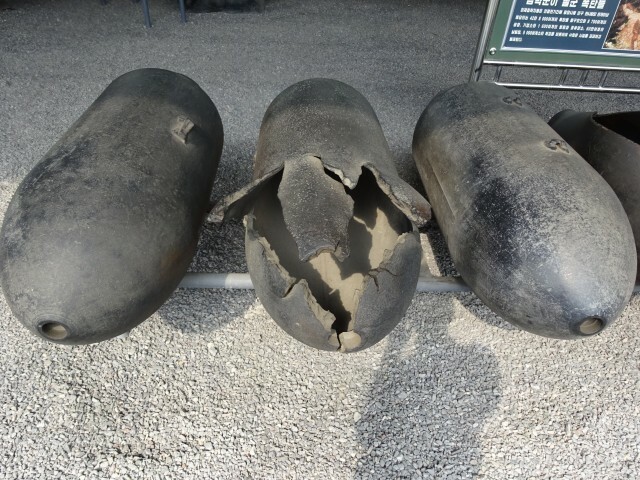 They were not identical. I felt as though I had been transported back to 1982. Men wear olive green, flared trousers and women have kept the buoyant hairstyles of the time. Our tour guides who were to show us around — and monitor us — for the duration of our stay, greeted us. 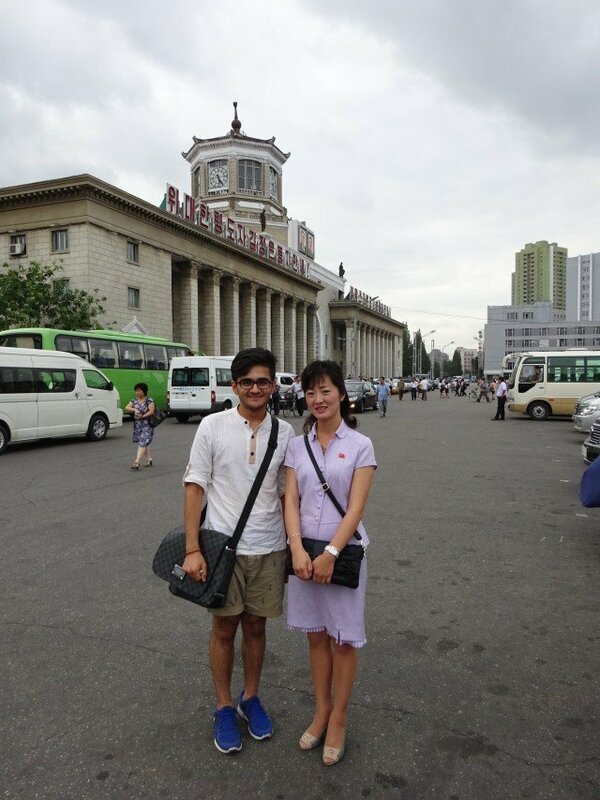 Outside Pyongyang station was North Korea’s answer to Times Square. 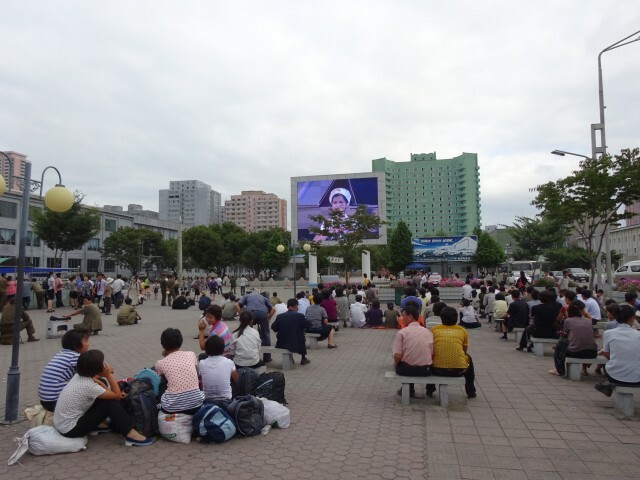 An LED screen and speakers blared out footage of celebration days while peaceful North Koreans sat and observed. Our constant picture taking was unusual to them, and they looked back in confusion. Rules on photography were loose. Our guides encouraged us to take photos so we could “show the world their beautiful country”. The only restriction was no photos of the military. Driving through a township on the way to Kaesong a traffic warden on the street blew her whistle aggressively as we passed. The car stopped. “Who took a picture of a soldier?” asked our guide aggressively. No one had. She checked cameras, and we continued with our journey. There was to be no direct communication at all between locals and tourists. The tour guide said this was because of a lack of a common language. A seasoned tourist in my group later told me if a local did speak to us they’d have to “fill out a lot of paperwork”. 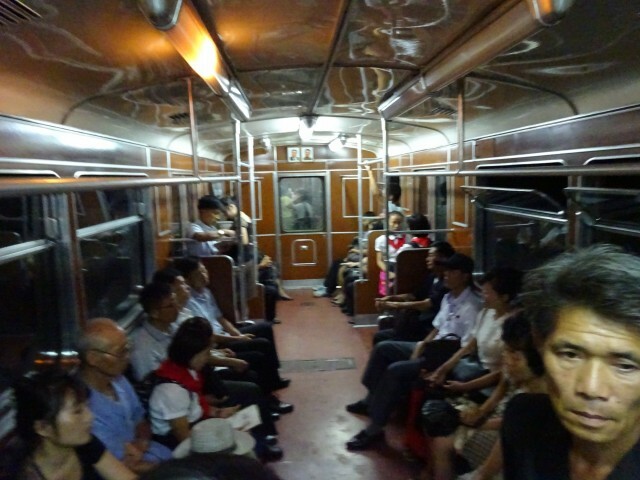 You’d be surprised to know there’s a metro in Pyongyang — our guides were keen to tell us over a million commuters use public transport every day. 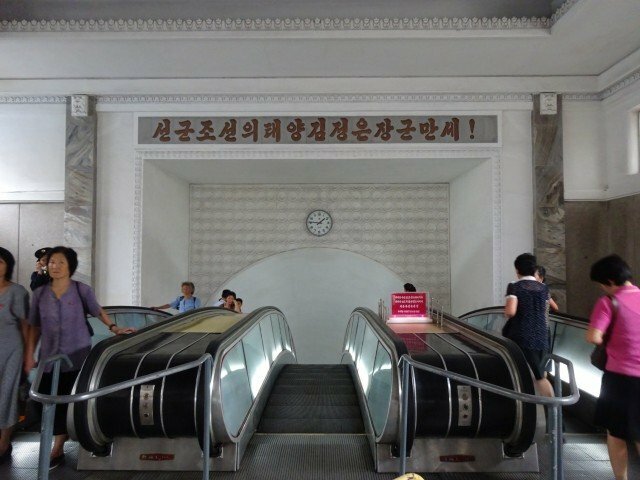 They took pleasure pointing out how North Korea is home to the longest escalator in the world. 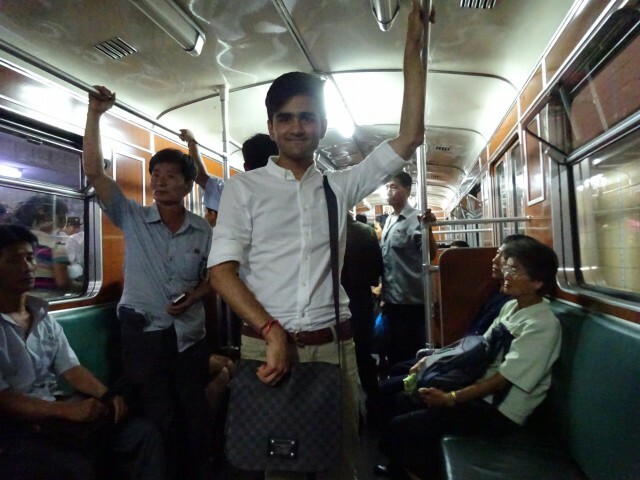 Later in our trip we were able to ride the metro with locals. 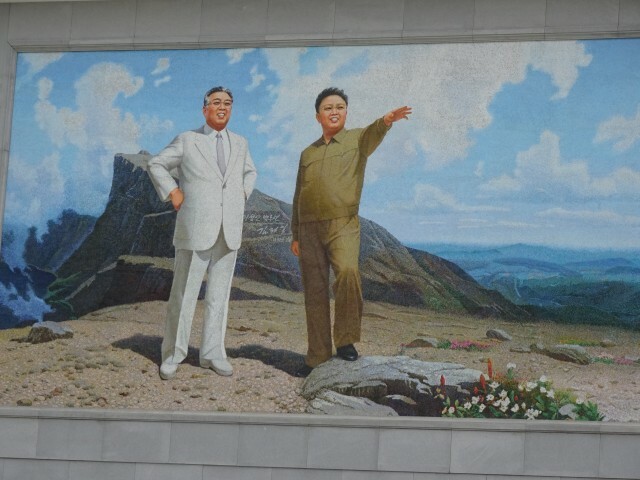 Every station is elaborately decorated with kitsch 80s flare, and each with a monument to the leaders of North Korea in the form of statue or mosaic. Despite the heavy reliance on public transport, us, a tourist group of six, had an entire tram exclusively to ourselves. The locals didn’t seem fazed by this opulence and continued on with their travels on the remaining packed trams regardless. 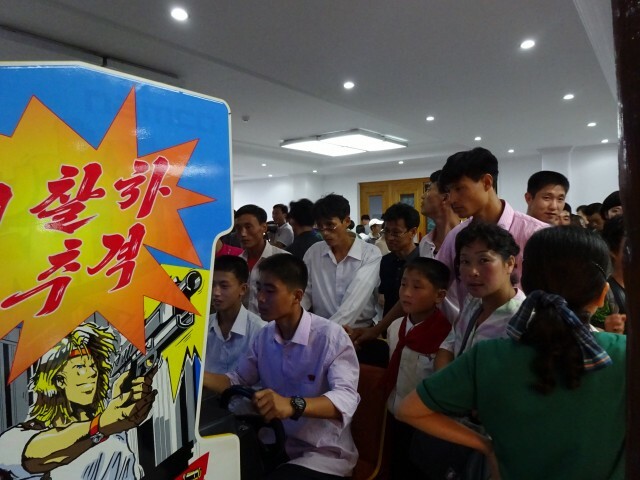 If you want to do anything spontaneous in North Korea it’s a big deal. The tour was planned to the minute, and days are intense. Plans are changed without warning by the guides, and the phrase “that would be difficult” was used often. A night ride through the city in a taxi was a tall order, and our request was quickly rejected. 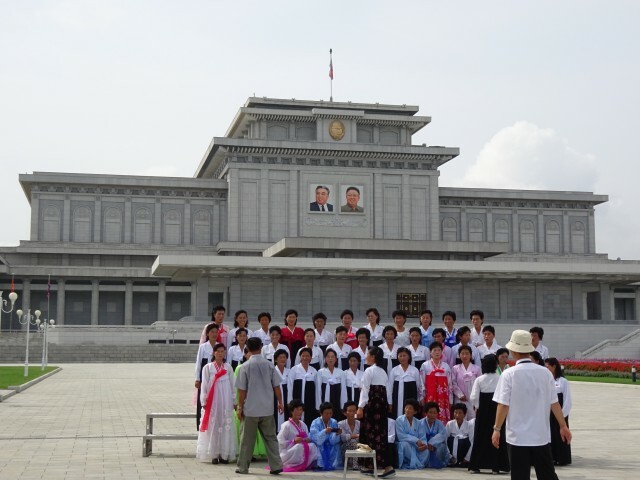 The guides toured us around Kim Il-sung University with great pride. 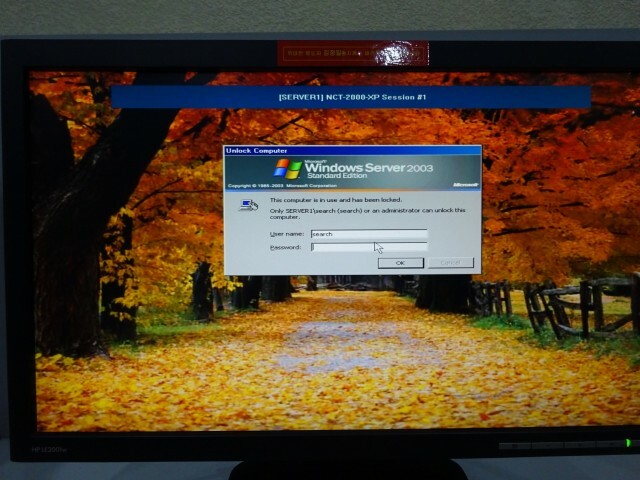 Fleets of computers loaded with Windows 2003 were a prized collection. 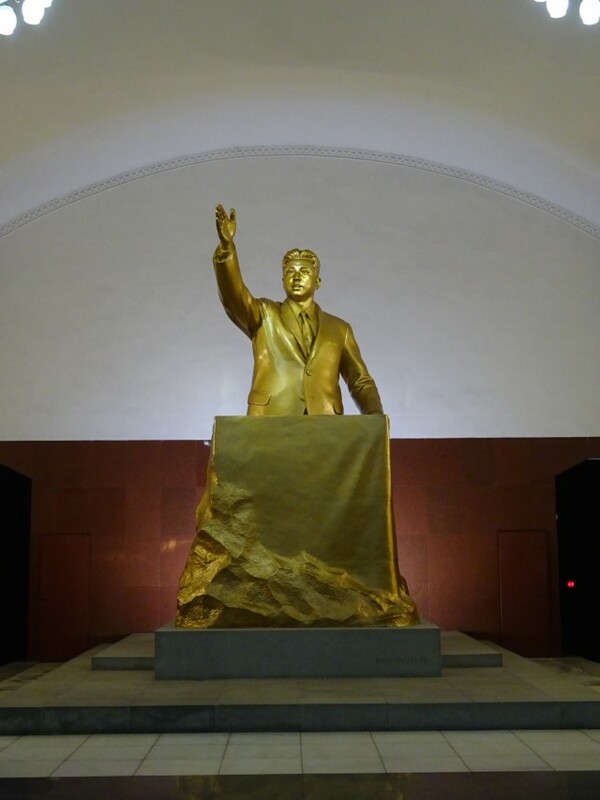 Inspirational quotations by Kim Il-sung were plastered over the walls and a massive bronze statue of the leader stood at the entrance. Our guide explained the leader favours the professors of the university, so they are given the best homes. 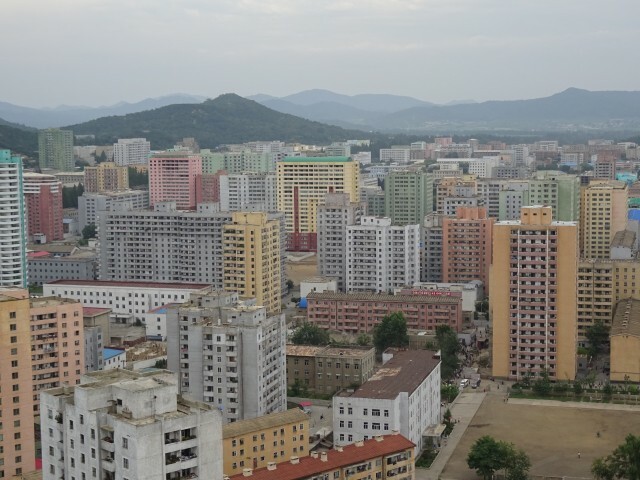 We were shown a penthouse apartment opposite the uni which offered unrivalled views of Pyongyang. The flat was equipped with all modern conveniences, a balcony and even a fish tank. 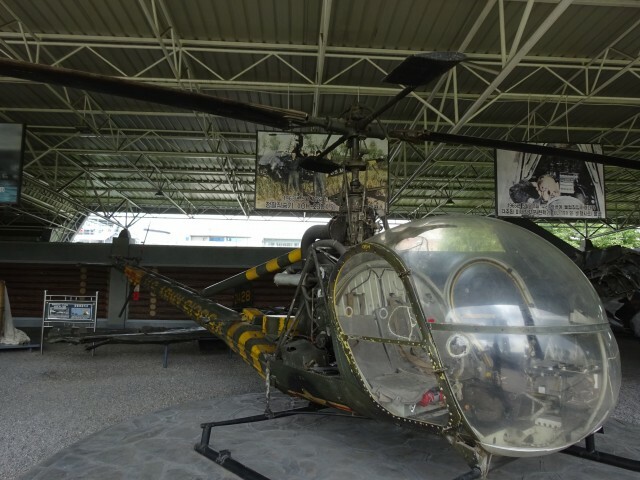 At the Victorious Fatherland Liberation War Museum we heard the North Korean account of the Korean war. 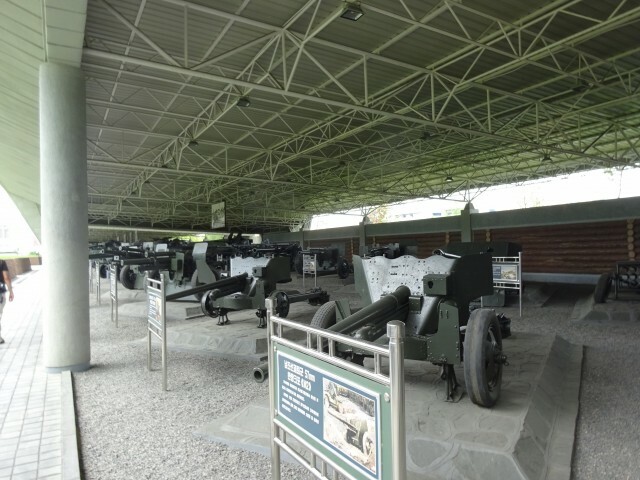 There is also an outdoor display of American military vehicles. 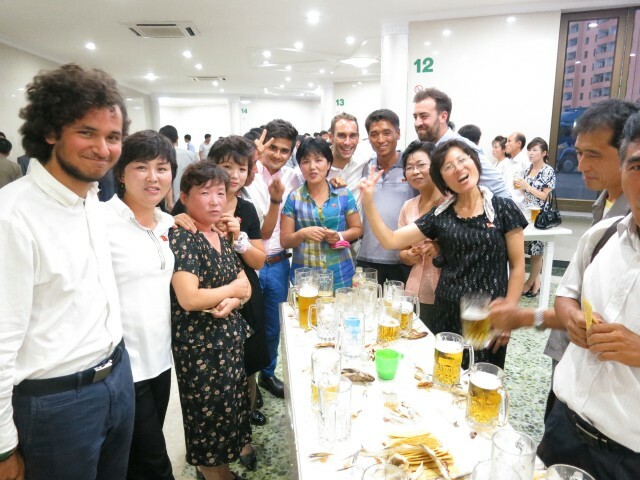 A little known fact about North Korea is the variety of high quality beer produced by microbreweries across the country. Each month male citizens are given a ration which they can share with their wives. In the “beer houses” they enjoy dried fish, nuts and either “dark” or “light” ale. Even the hotel brewed their own in house – it was comparable to the stuff you’d get in your average trendy Shoreditch bar. 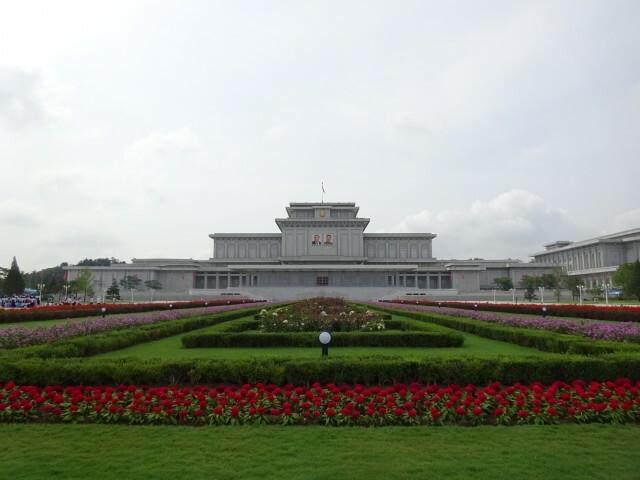 The Kumsusan Palace of the Sun is the mausoleum where the bodies of Kim Il-sung and Kim Jong-il rest. We were ferried over hundreds of meters of extremely slow moving travellators for about 15 minutes. 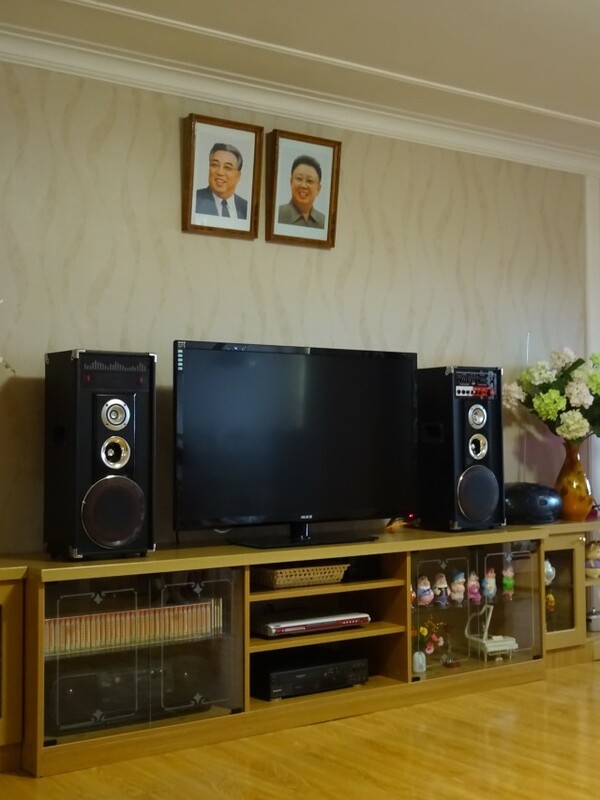 We passed many elaborately framed pictures of Kim Il-sung and Kim Jong-il, each with an English description. 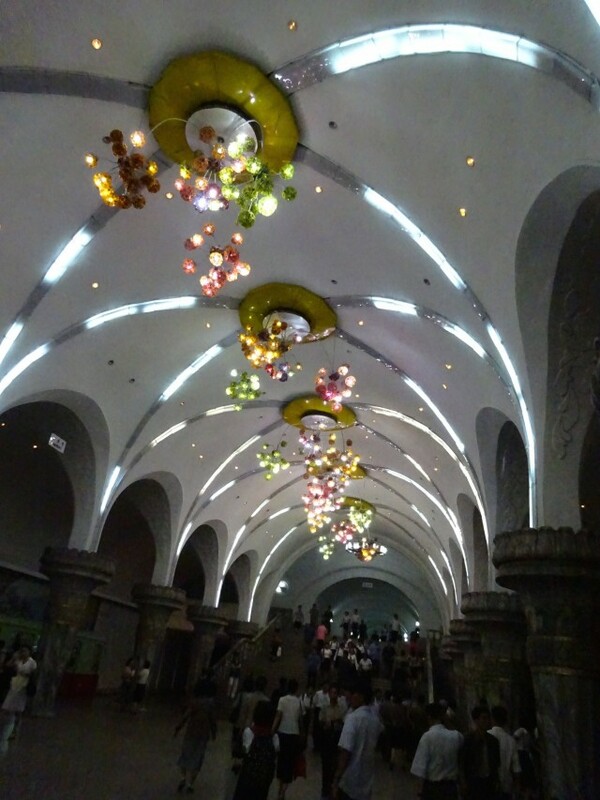 After moving through several richly decorated rooms we arrived at a hall with seven enormous chandeliers. At the other end stood huge statues of the leaders with an orange and purple Disney-esque background. It was a goose bump moment. We slowly walked towards the statues, bowed alongside our guides, and continued on through more corridors. Before entering the room where Kim Il-sung rests each visitor must pass through a cubicle where jets of air blow off any dust from clothing in order to prevent tainting the sanctity of the chamber. 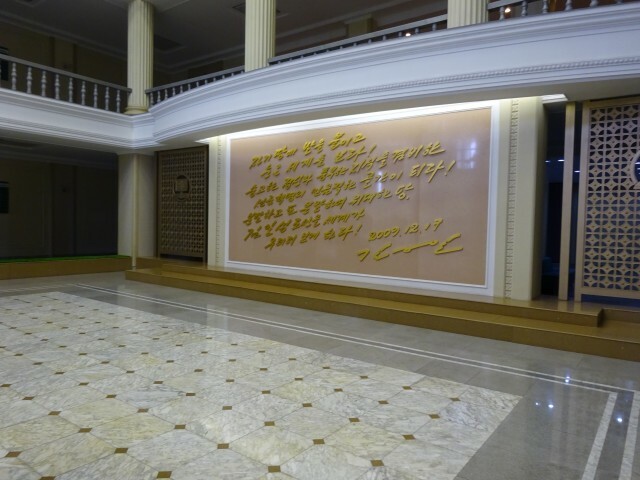 We bowed by each side of the eternal president, and proceeded to the room where Kim Jong-il lay. After paying our respects to the leaders we were escorted to the “mourning room” where there was a lady dressed in black whose role it was to mourn to the visitors. She cried out her script to us in voice, but her face was completely expressionless. It was one of the most unnerving experiences I’ve ever had. We were then rushed through a gallery of awards and gifts from other world leaders and the prized belongings of the supreme leaders including a MacBook Pro, a yacht and the train carriage Kim Jong-il died in. 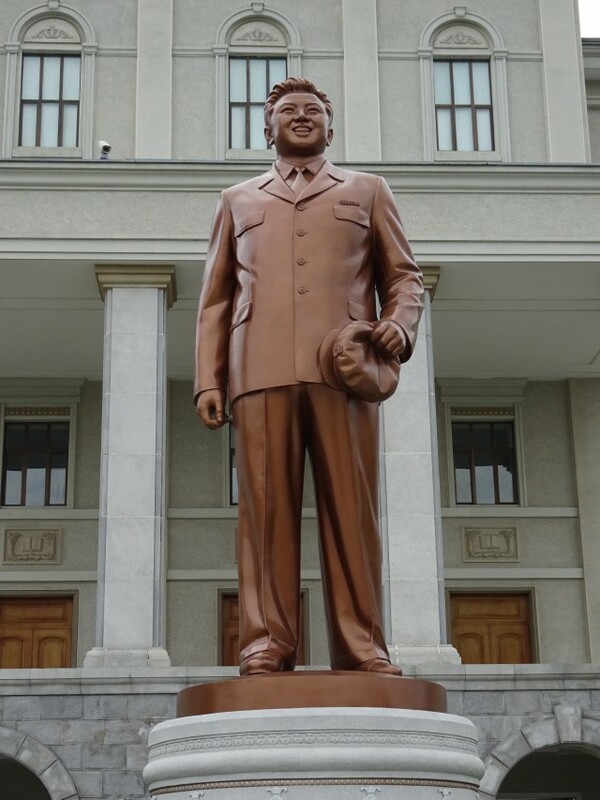 The Korean people still consider Kim Il-sung their “Eternal President”, and Kim Jong-il the “Eternal Chairman of the National Defence Commission”. Kim Jong-un, the current leader, is not yet revered in such high regard. It is custom only when a leader passes their name is venerated. 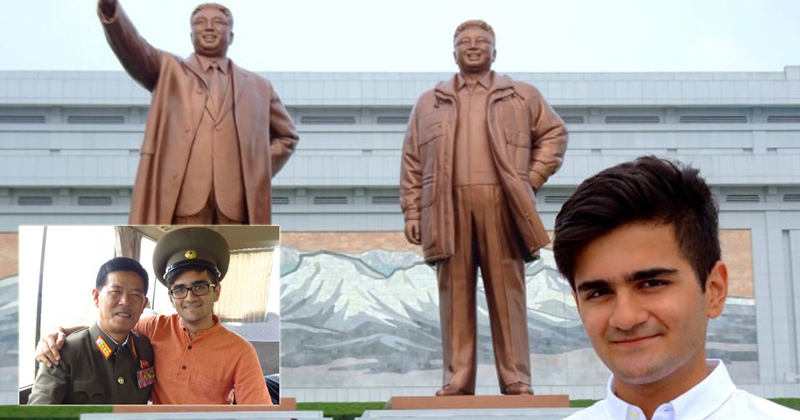 Kim Il-sung and Kim Jong-il both have flowers named after them, and you see them everywhere in North Korea. 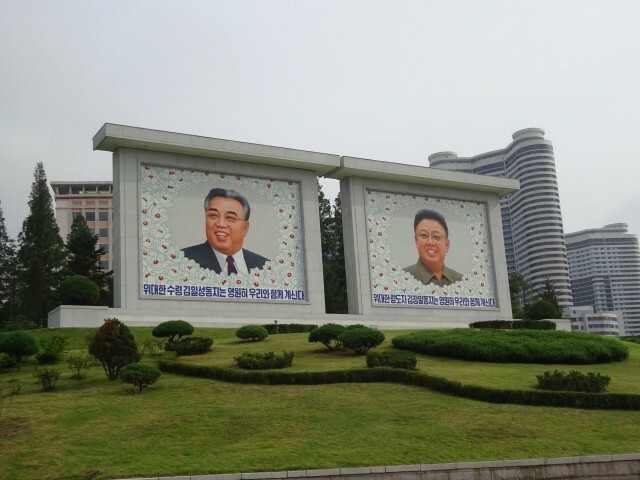 The Kimilsungia and the Kimjongilia appear on mosaics, road signs, floral displays – everywhere. 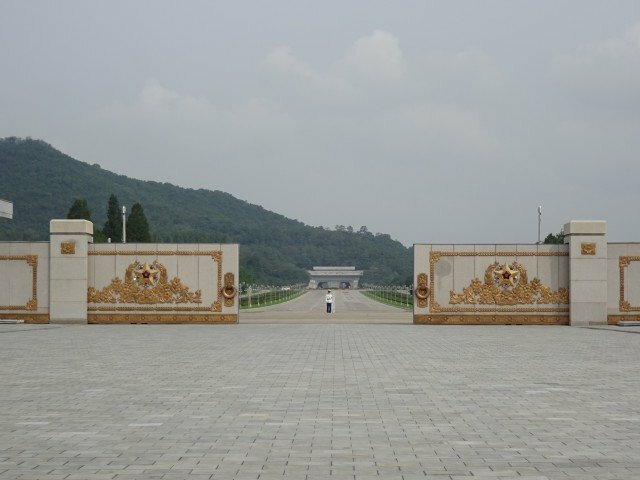 I was bewildered by the apparent genuine devotion the people of North Korea have for their leaders. I came into the country with preconceptions of starving civilians constantly lived in fear of the state, but from what I was shown they praised their leader like a god, and genuinely believed in his supernatural powers. The leader was the provider of food, water and housing, and for this they were eternally grateful. We were only being shown what they wanted us to see, obviously. Showered with the country’s finest food and waited on constantly – it was a “look at what we have achieved without you”. 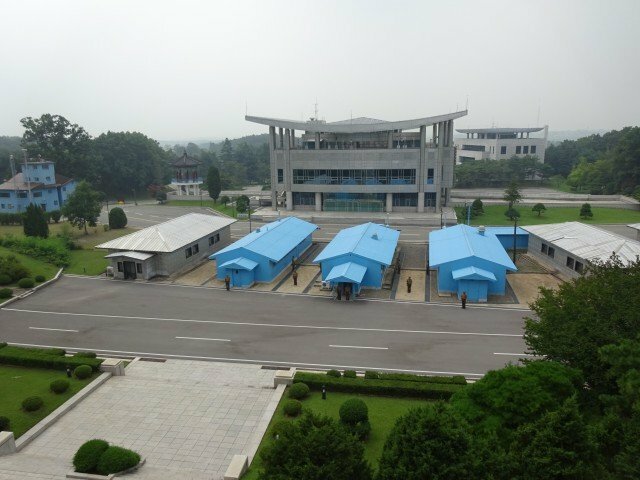 170,000 people are said to be in prison camps in North Korea. Hundreds of thousands of people have reportedly been killed as a result of the dictatorship and there are rumours of Kim Jong-Un executing his uncle and poisoning his aunt. But I can’t speak for that. I can only speak of what I saw, and I saw a functioning capital city. There were stern commuters in the streets, playing children in the parks and bored students in the university.